While in some states winter is a godsend, providing a blissful reprieve from hot summer months, in other states winter is the equivalent of standing inside a blast chiller for 4-5 months. Between rainstorms, hurricanes, and blizzards, you might find yourself longer for the sun again, especially when it comes to snow storms. Snow is great to play in, but it can also be one of the most inconvenient parts of winter, particularly when it gets in your way. Snow blowers offer the perfect solution to this problem. Glancing at a few snow blower reviews can help you find a machine that can clear snow fast, so you can get on with your day. When it comes to removing snow from your driveway, having a heavy-duty snow blower that works fast can be the difference between getting to work on time and being late. While not a traditional blower, the Snow Joe Ultra SJ620 18-Inch Electric snow thrower is the perfect product for that purpose. 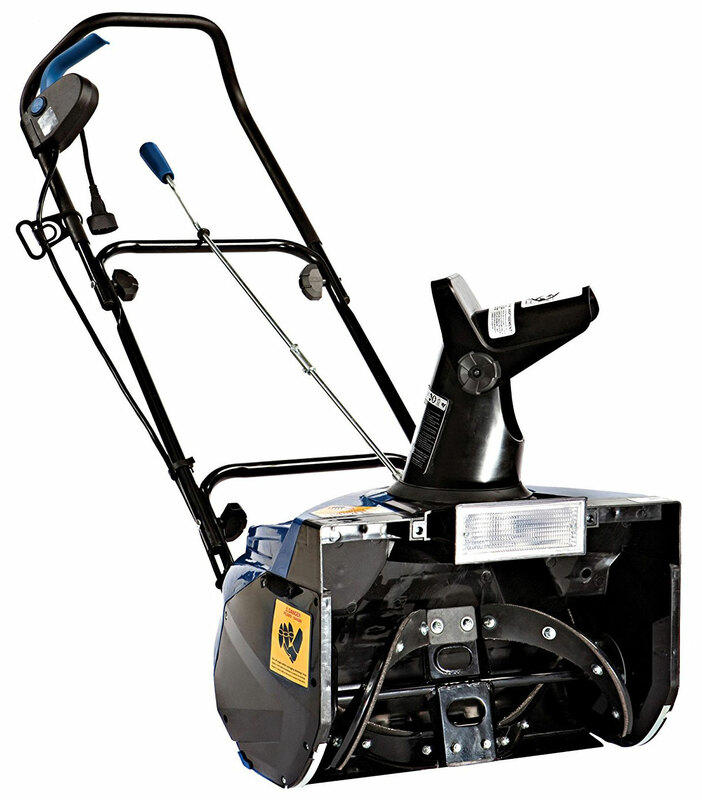 This snow thrower has the ability to move up to 650 pounds per minute. And all you have do is push the machine around while it collects snow and chucks it away via a rotating chute. But that’s not all this machine provides. The Snow Joe Ultra SJ620 also glides easily around, so you never experience any strain or fatigue. You can rest assured you’re receiving a high-quality product since it’s backed by a two-year warranty. Husqvarna is a leader in a high-quality yard and garden tools, so you know that the Husqvarna ST224P is a reliable snow thrower. 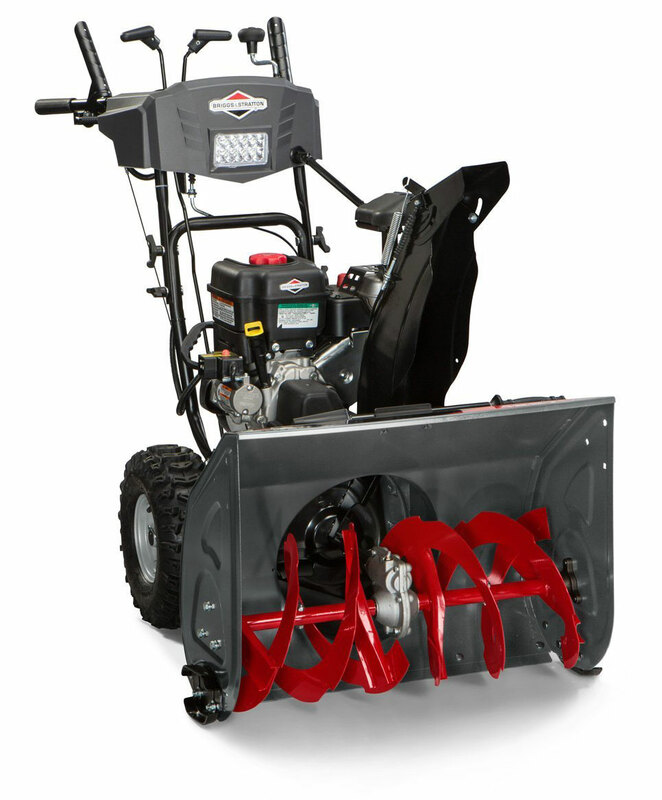 It comes with a durable 208 cc engine, made by the manufacturer, which makes it incredibly powerful and ideal for clearing anywhere between 2 inches to 12 inches of snow. Additionally, it’s long-lasting and comes with a 3-year limited warranty and a 5-year warranty on the engine. But what really makes this one of the best snow blowers available according to snow blower reviews is the fact that it features an electric start, making it very easy to power up. The heated grip handles also provide extra user convenience and comfort (if you’re interested in more electric start items, take a look at these powersmart snowblower reviews). Just keep in mind that you never want to store this product with old gas inside of it, as that can void the warranty. If you live in an area that gets heavy snows or blizzards, then the Briggs and Stratton 1696619 is the dream machine for you. The great thing about this snow thrower is that that it’s dependable and can sift through large amounts of snow in minimal time. Its clearing path is 27 inches wide and the height intake in 20 inches, which means makes it one of the largest commercial snow throwers on the market. Additionally, it has the power to clear all of that snow fast, backed by a 250cc engine. And the list of perks just gets longer from there. For example, you don’t have fuss when trying to power up this machine because it features an electric start. That means that you spend less time out in the cold fussing with choke controls, buttons, and keys. All you need is a power plug and a finger to press the button. It's that easy. But this machine is among the best snow blowers because it’s built to last, with features like reversible steel skid shoes and a steel framework, so this snow blow is always ready to go whenever you need it. One thing to keep in mind, however—and something several snow blower reviews point out—is that this product doesn’t come with an oil filter. For that reason, to keep your machine is tip-top, working order at all times, you should change the oil on regular basis. 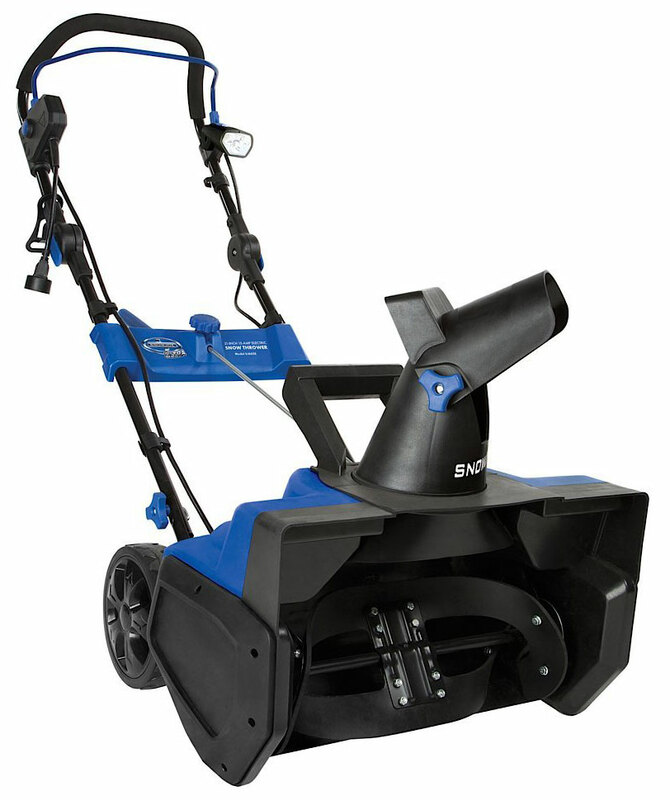 Looking for a snow blower that’s easy to push around? 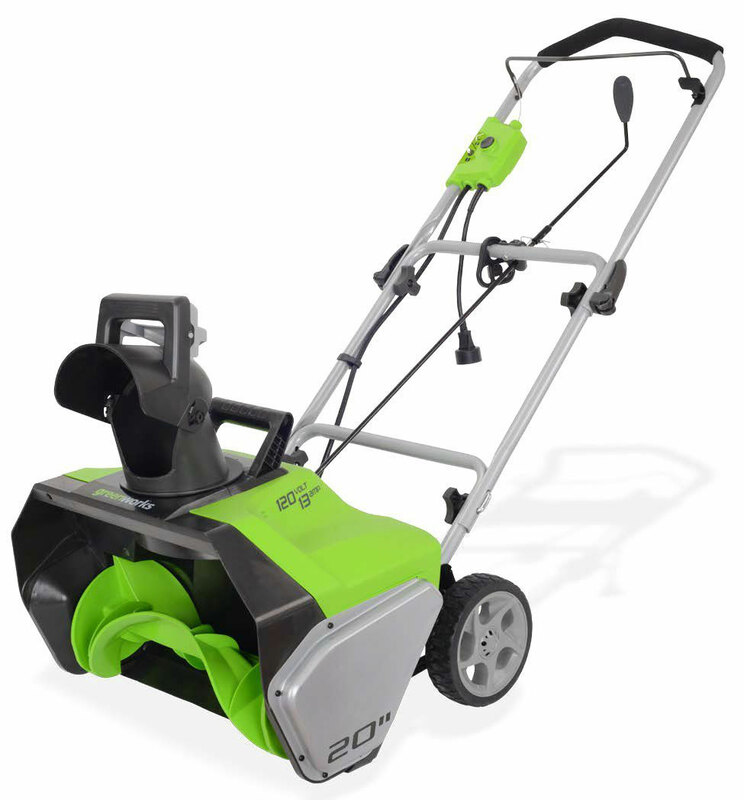 Then the Snow Joe iON18SB Brushless Snow Blower is the perfect option for you. At a mere 32 pounds, this machine is extra lightweight, making it easy to maneuver around your driveway, yard, or street. Another great feature of this blower is that it's battery-powered and comes with a 40-volt rechargeable battery, which gives you the perk of increased mobility without having to deal with a gas engine. If you're a big proponent of gas-powered snow blowers, switching to an electric machine might seem like a huge downgrade. One of the major complaints among most snow blower reviews is that electric machines simply aren’t as powerful as gas-powered products. The Snow Joe Ultra SJ621 electric snow thrower proves that theory wrong. Although not designed to handle the aftereffects of consistent snowfall, this product can throw a lot of snow and is perfect for areas that get light and medium snowfall throughout the year. 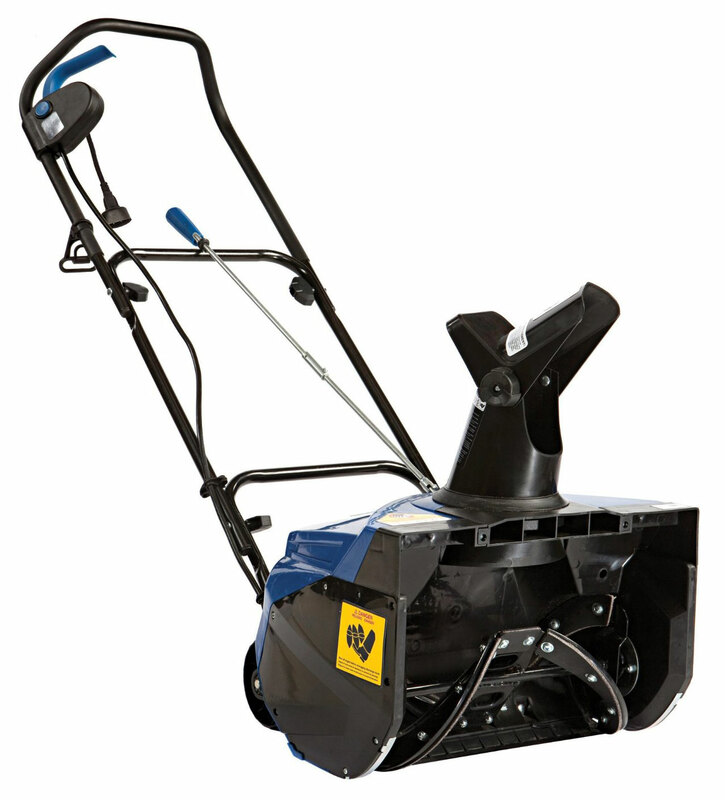 Powered by a 13.5 Amp motor, this thrower can sift through 650 pounds of snow in one minute, and cuts an arc that is 18 inches wide and 10 inches deep. Additionally, this machine comes with a 20-watt headlight, enabling you to start clearing snow in the early morning or in the late evening. According to snow blower reviews on websites like Amazon, this is one of the best snow blowers to purchase. 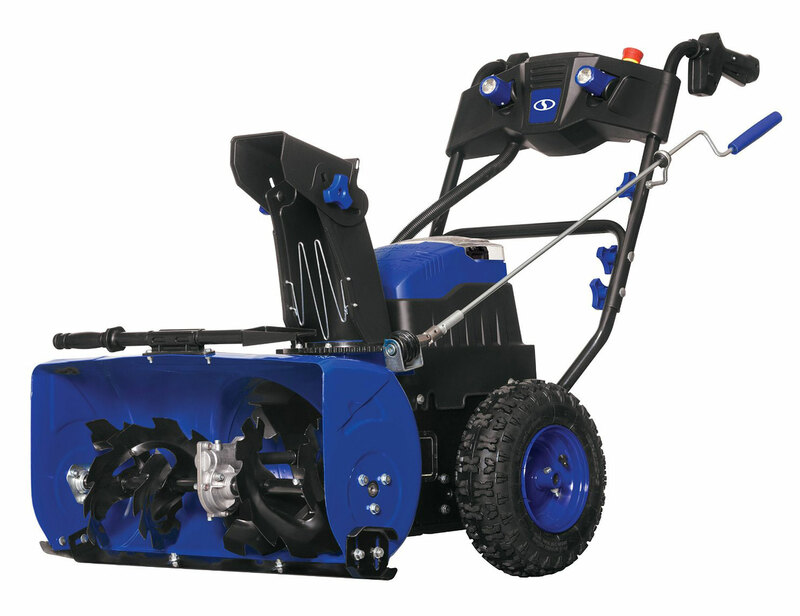 The Snow Jo Ultra SJ623E 18 Inch Electric snow thrower is fast, effective, and affordable. It’s also one of the best rated snow blowers. For less than $150 you get a durable machine that can move up to 720 pounds of snow a minute. Like the Snow Joe Ultra SJ621, this unit also features a small halogen light and is very lightweight, weighing a little over 33 pounds. Although you might be initially tempted to view this model as sub-par compared to a gas blower, the model just might surprise you. It can even handle 12 inches of snow. Although the Snow Joe iOn24sB-XR seems small, it can actually throw a lot of snow very far, very quickly. In one minute, the auger on this model can actually maneuver 1000 pounds of snow. Considering that this is a battery-powered two-stage thrower, that’s a ton of snow. It also features a powerful 2500 watt motor and can run on full charge for approximately 50 minutes. However, there are some things about this thrower that you don’t want to overlook. Firstly, although it can handle a lot of snow, this unit is not the equivalent of a gas thrower. Since it’s battery operated, you’re restricted to the amount of snow removal you can do in 50 minutes. If you get very heavy snow falls, this machine will make a dent, but it won’t clear everything in one go. Another problem, which many snow blower reviews were quick to point out, is that the handles on this product are incredibly uncomfortable and make feeling fully in control of this machine a challenge. 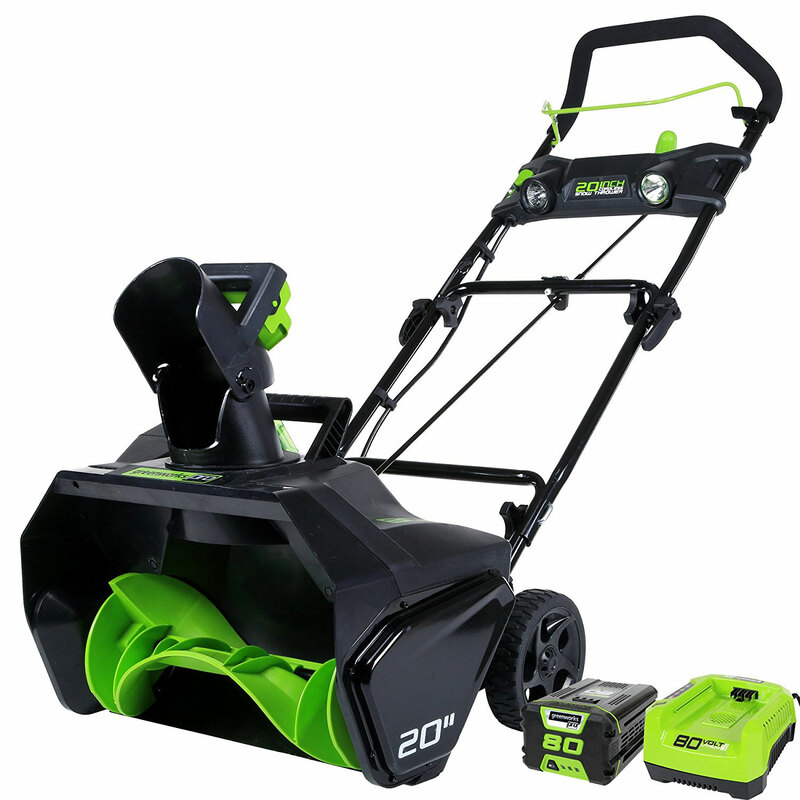 The GreenWorks 2600502 Corded Snow Thrower is the perfect option for anyone looking to clear fresh snow from his or her driveway or front yard. Although this particular blower is compact, it has the ability to launch snow up to 20 feet away. Additionally, it’s lightweight, which means that you don’t have to overexert yourself. Keep in mind that this machine isn’t made for heavy-duty snow collection. In fact, while it can handle fresh snow (and even some wet snow) with ease, compressed snow is very difficult for this machine to break down. 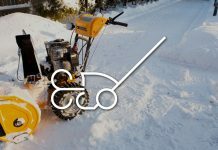 With the ability to sift through 800 pounds of snow in a minute, the Sun Joe Ultra SJ625E Snow Thrower is perfect for handling the aftermath of heavy snowfalls and blizzards. Although electric, this machine has a powerful 15 amp motor that can keep it churning snow for hours. Using this blower you can clear your patio, yard, or driveway. It’s incredibly light, weighing a little over 35 pounds, and features wheels that are made to handle any terrain, so maneuvering it through the snow is almost effortless. As an added perk—so you start clearing snow earlier in the morning or even at night—this product also comes with a LED headlight. The GreenWorks Pro Cordless Snow Thrower comes with an 80 Volt battery that gives users a running time of 45 minutes, making it perfect for cleaning everything from your deck to the sidewalk. What really makes this unit one of the best rated snow blowers and sets it apart from other battery-powered blowers is that can generate a full charge in as little as 30 minutes—something that few other rechargeable batteries can do. Even better, you don’t have to worry about waiting for the battery to charge since the snow throw comes with two. The brushless motor also makes this model very dependable. Like gas models, this unit isn’t touchy about the kind of snow it takes on, handling everything from fresh snow to slug without clogging. What does a snow blower do? In general, a snow blower helps you clear snow by collecting it and then ejecting it out a chute located at its head. This revolving chute launches the snow in a wide arc away from the region you’re clearing. However, there are two types of snow blower: single stage machines and two stage units. The difference is subtle yet significant. 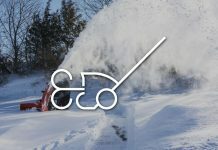 Single stage blowers (also known as a snow thrower) move along picking up snow and ejecting it out of the chute in one fluid motion. On the other hand, the best two stage snow blowers actually feature two mechanism (an auger and an impeller), which actually scoops up the snow and then spits it out through the chute. Since these are two separate motions (the scooping and then the ejection of the snow) these machines are known as two-stage blowers. What are the key differences of gas engine and electric motor snow blowers? The main differences in gas and electric snow blowers can be found in the benefits they provide. Gas snow blowers are the more traditional route, so they are typically built to take on more. Usually, gas blowers can power through fresh snow, icy chunks, or compressed snow. Additionally, the range of products you can find to tackle even the toughest jobs is more diverse. It’s very rare to find a heavy-duty electric model that delivers almost professional results. That’s not the case with gas. On the other hand, electric blowers are a little less work to maintain. You don't have to get your hands dirty trying to refuel it and they general require less maintenance. Additionally, there are no fumes, they tend to be quieter than gas versions, and they’re easier to start. Yet, electric models are also limited in their mobility ranges by cord length or restricted in how much snow they can move in a certain amount of time by a battery. 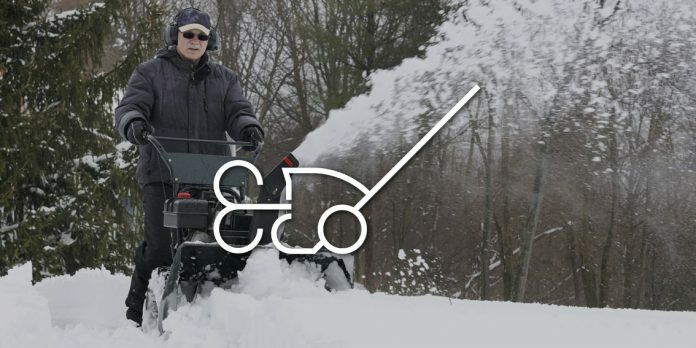 When to choose single-stage or dual-stage snow blowers? Ideally, you want to select between a single-stage and dual-stage machine based on the typical snowfall of your region. Single-stage machines are better at handle about 8 inches of snow maximum (although some models are capable of more). If on a regular basis you find that the region where you live gets more snow than 8 inches, then you probably want to invest in a dual-stage machine instead. 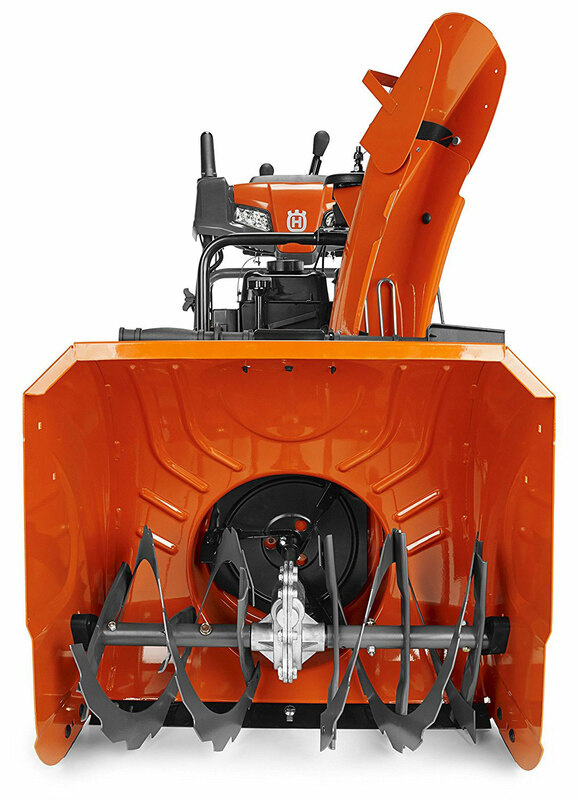 Two-stage products are usually among the best rated snow blowers and are designed to tackle much tougher jobs and can clear more snow in less time. Does my lot size matter when choosing what equipment to buy? When it comes down to it, the size of your lot really does matter. Some products are designed to work on smaller projects, such as driveways and patios. Even more importantly, they aren’t particularly great at picking up large chunks of snows—something snowblower reviews quickly point out. On the other hand, larger machines can usually take on more snow, and are good for doing jobs like clearing street and sidewalks. This means that the bigger your lot, the bigger your snow blower should be. Otherwise, you risk purchasing a product that doesn't meet your needs. What features should I look for when clearing snow on pavement? The most important thing to look for are the engine/motor and torque specs. The more powerful the engine or motor, the more effectively that product will clear snow. Next, you want to look at width and height size. Larger figures in this category mean that the product can scoop up more snow, and therefore, significantly cut down the amount of time the task takes. Finally, give preference to products that have long warranties and high-quality manufacturing features like steel blades or steel construction. 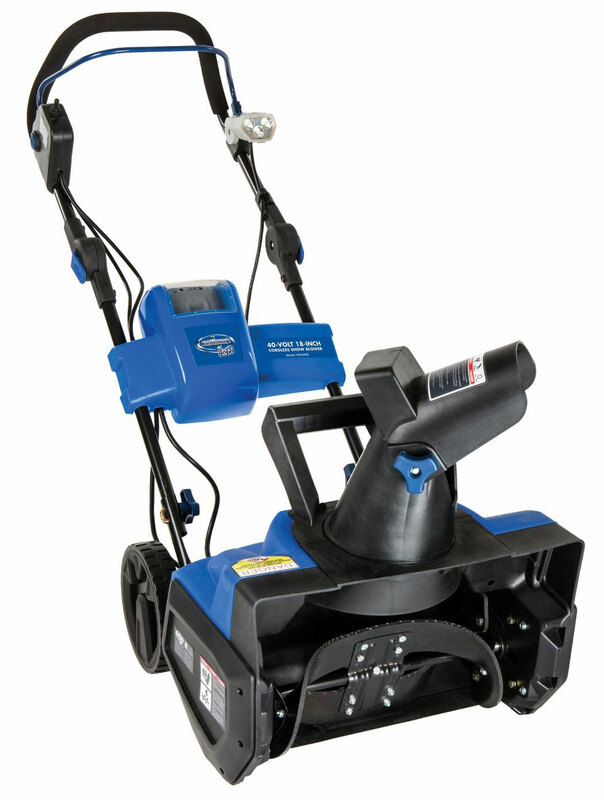 What snow blower to use on gravel/mixed surfaces? If you’re looking for a snow blower than can handle tough, or uneven, terrain, then the Snow Joe Ultra SJ625E 21-Inch 15-Amp Electric Snow Thrower is the perfect option according to snowblower reviews. The wheels on this particular machine are designed to grip any kind of terrain, which is especially important on gravel or even very slippery surfaces. What to use on heavy and wet snow? Looking for a snow blower that can handle just about anything you throw at it? Then the Briggs and Stratton 1696619 is the product you’re looking for. Briggs and Stratton is a company that’s well known for making high-quality products that are durable and reliable, so this particular model won’t disappoint. What snow blower to use for heavy snow build up? If you experience a lot of heavy snowfalls where you live, most snowblower reviews recommend the Snow Joe Ultra SJ625E 21-Inch 15-Amp Electric Snow Thrower is the perfect solution. It can clear massive amounts of snow in almost no time thanks to its incredible cutting path, which is 21 inches in width and 12 inches in height. What to do to maintain snow blower? There are few things you should always do to maintain a snow blower. If you use a gas blower, the most important thing you can do is regularly check the fuel level. You can probably squeak by barely doing any other maintenance when it comes to your gas blower (although it’s NOT recommended), but failing to regularly check and add oil to your product can create serious damage very quickly. Another key upkeep task: regularly checking and changing the filters. Additionally, to avoid having a spark plug blow out on you, regularly change it after 100 hours of use. Even if you have an electric snow blower, there are still some things that you’ll have do, such changing skid shoes as they start to wear. How long do snow blowers last? It’s not easy to determine how long a model will last. However, when it comes to durability there’s one way you can determine whether or not a product is worth the investment: examine the quality of it’s manufacturing. Like all products, a snow blower’s quality can really make the difference from lasting a couple months to decades. When buying your next snow blower, the rule of thumb is this: the more the manufacturing elements are of exceptional quality (such as using steel over plastic, tires over wheels, etc) the longer that product is likely to last. How often does the oil in the snow blower need to be changed? With gas powered equipment, the safest bet is to drain the oil after every use. However, this can be a bit of a hassle, especially if you don’t have the time. So instead, apply this rule: at the very least always drain your oil before you store your blower away for the season. Then reapply new oil at the end of the season. Although you’ll probably never use a snow blower as often as you would your lawn mower, they’re great tools to have around to beat the winter weather. In fact, what might seem like an expensive investment now in terms of the kind of snow blower you buy, can actually save you money in the future. Since snow blowers are preventative measures that help you get to work on time or even avoid an accident, they can indirectly save you a lot of money. Not to mention that by using a blower, you no longer have to do the back-breaking work of shoveling snow. So save yourself a lot of pain and heartache by buying a snow blower.